offers high-end extensions at an affordable price in Baltimore, MD. When you choose Rose African Hair Braiding as your hair stylist, you will be coming back again and again. Rose African Hair Braiding is known for providing stunning and flawless hair braiding in Baltimore, MD. Chic and professional braids that remain intact and frizz-free for weeks are every woman’s dream. 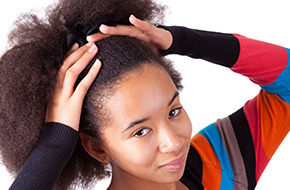 When determining who to trust for your hair extensions or weave. 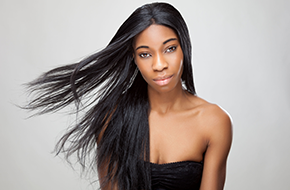 you are looking for a professional who provides seamless attachment that blends flawlessly with your natural hair. With a blowout you want more manageable hair that is smooth and full of shine. At Rose African Hair Braiding in Baltimore, MD we understand this. In business since 2004, we have years of experience as professional stylists and braiders and we are experts in hair braiding, hair styling, and hair extensions. We are a full service hair braiding salon that caters to men, women, and children of all ethnicities and ages. Your hair is important to you, and we understand you do not trust just anyone with it. Our highly skilled and trained stylists offer excellent service at an affordable price, always listening to your style needs. We believe every woman is beautiful and deserves to have beautiful hair. Our braiders are gentle and handle your hair with care. If you want braids for your child’s hair, you will never have to worry that we are being too rough or causing pain. We are efficient and work diligently so you are not spending the entire day in the salon. We also sell synthetic and natural hair, so you can purchase your hair and get your extensions done all in one place. Happiness is something we value very much, and from ensuring you are happy with your hair to providing friendly and cheerful customer service, we promise you to enjoy your experience. Contact Rose African Hair Braiding for high quality hair braiding, hair styling, and hair extensions. When you choose us, you will not stop getting compliments on your new look!